Today a federal judge in Alaska issued an order that will prolong last-ditch litigation filed by the Pebble Limited Partnership against the U.S. Environmental Protection Agency. Although the order dismissed portions of Pebble's complaint, the court also allowed parts of the case to move forward to trial on the merits. Nothing in the court's opinion suggests that Pebble is likely to prevail -- ultimately. And nothing in the opinion changes the fact that the proposed Pebble Mine would threaten the world's greatest wild salmon fishery in Bristol Bay, which supports a $1.5-billion annual commercial fishery, 14,000 jobs, and a subsistence way of life that has flourished for millennia. 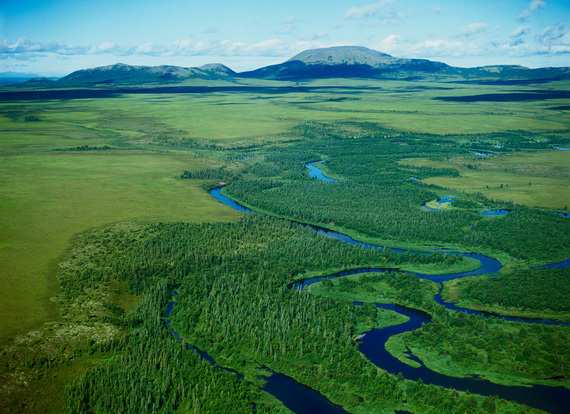 This opinion is not about whether the EPA's Bristol Bay Watershed Assessment -- which found that Pebble Mine would have significant and even catastrophic effects on the region -- is scientifically sound. It is. It was based on three years of data review, two rounds of peer review by 12 independent scientists, numerous public hearings and comment, and extensive scientific analysis and revision. Nor is the opinion about whether the EPA has the legal authority to restrict a mine like Pebble. It does. Under the Clean Water Act, the EPA may, at any time, veto a project like the proposed Pebble Mine that would have "unacceptable adverse impacts" on the environment. Congress enacted that authority decades ago, the D.C. Court of Appeals recently affirmed it, and Alaskans in overwhelming numbers have asked the EPA to exercise it. This opinion is about procedure, not substance -- that is, whether Pebble will be allowed to prove the allegations in its complaint that the EPA violated the Federal Advisory Committee Act (FACA) in its review of the Pebble Mine. While it's unfortunate that the judge didn't dismiss the case outright -- Pebble will now have judicial license to prolong the litigation through discovery and other litigation activities -- it is undeniable that the EPA's burden of proof on its motion to dismiss is extremely high. At this stage, the judge was required to accept as "true" the factual allegations made by Pebble on the face of its complaint. Once those allegations must be supported by actual evidence, the EPA will unquestionably prevail. Simply stated, the remaining question in the litigation is whether the EPA violated the FACA by establishing and working with mining opponents in a way that, in effect, acted as advisory committees within the meaning of the Act. The EPA did not, but while the case moves forward, the EPA cannot issue permanent restrictions to protect Bristol Bay from the specter of the Pebble Mine. Click here to tell Northern Dynasty Minerals -- now the sole owner of Pebble -- what you think of its legal stall tactics. Tell them it's time to walk away from Bristol Bay.